Nexcem insulated concrete wall forms contain no polystyrene, foams or plastics. Unlike other ICF systems, there are no VOCs or off gassing with Nexcem. Styrofoam and EPS systems are all petroleum based products. Nexcem is not a petroleum based product and therefore has less of an overall environmental impact. Using Nexcem is also an example of reducing the overall demand for oil and oil derivatives. Nexcem is comprised of simple ingredients; cement and wood aggregate. Nothing in the Nexcem process is remotely hazardous or detrimental to the environment. 100% recycled wood content. We only use recycled waste wood (100% clean, natural softwood lumber) that is taken from sources such as truss manufacturing operations, and otherwise being sent to landfill sites. Nexcem does not burn or melt. This is not the case with Styrofoam and other ICF products. The smallest Nexcem wall has a 4 hour fire rating, zero flame spread, smoke spread of 11 and no black smoke or toxic fumes created in the event of a fire. Nexcem is more energy efficient. The insulating thermal mass/dynamic effects are better with Nexcem than other ICF systems because with Nexcem, the insulation is placed primarily on the exterior of the concrete mass. Polystyrene ICF foam blocks put 50% of the total insulation on the interior, which actually prevents the transfer of heat/energy between the concrete mass and the interior conditioned space. With Nexcem, all insulation inserts are positioned towards the exterior, where it should be, to maximize any thermal mass gains. Nexcem facilitates improved indoor air quality. The Nexcem material is a hygroscopic material – which means that it has a very large capacity to store and release moisture as required, depending on the environmental conditions. This storage capacity refers to storing moisture in the form of water vapor and increased material moisture content – not liquid water. Also, the Nexcem material and wall system is extremely vapor permeable. It does not act as a vapor barrier, but acts as a vapor regulator and keeps indoor RH (Relative Humidity) levels at a healthy and comfortable level. We have conducted full scale wall tests and have proven that Nexcem does not allow condensation within the wall cavity when used without a vapor barrier, and maintains RH levels below RH 65-70 naturally. Nexcem promotes healthy indoor environment and inhibits mold growth. Firstly, because the material is hygroscopic and vapor permeable, RH levels are kept low enough such that it is not possible to reach the level of RH where mold can start to grow (typically 70% RH). Combined with the high pH (alkaline) environment resulting from the cement content, this means that the wall system actually helps to inhibit mold growth. Something that doesn’t happen with the other systems. Click below for information on Nexcem and healthy housing. The composition of Nexcem is all natural and benign materials – unlike polystyrenes. While there is less concern about the health effects of EPS itself, the brominated fire retardants used in most EPS foam (decaBDE or hexabromocyclododecane are the most commonly used) generate health and environmental risks that are generating even more significant concern. The following links show some current research that is available on this topic. Nexcem is more impact resistant. Both stucco and drywall, when attached to Nexcem result in a solid, durable, impact resistant finish. Polystyrene ICF substrates result in stucco and drywall finishes that can easily be damaged through regular use. Nexcem is more resistant to termites. We have completed a 7 year termite study with US Forest Service and found no damage to the Nexcem material over this period of time. Although Styrofoam does not provide a food source to termites, it does provide a protected high humidity environment that can also serve as a pathway for termites. It has been found that termites readily chew through the Styrofoam. This does not happen with Nexcem. 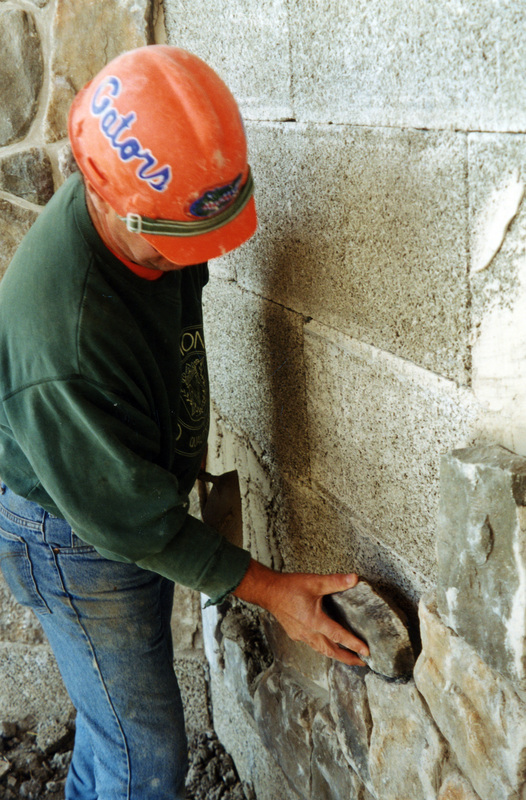 Nexcem Wall Forms are much stronger, and can withstand higher concrete pressures. We have zero blow-outs in the field when poured in accordance with our recommendations. The blocks require less bracing than the foam ICFs and Nexcem walls don’t bow and bend as easily as the foam blocks. Also, since the blocks are uniform, it is possible to drywall or attach screws to any point on the finished surface, not just at the discrete plastic web locations that are difficult to find with traditional ICF materials. Because the Nexcem is a free draining material, it is possible to use a high-slump concrete (7” – 9” slump) without adversely affecting your concrete strength. When pouring a very wet concrete mix, the Nexcem material immediately starts to drain the moisture so that it does not result in weaker concrete, while ensuring that there are no voids and making the pouring process easy.